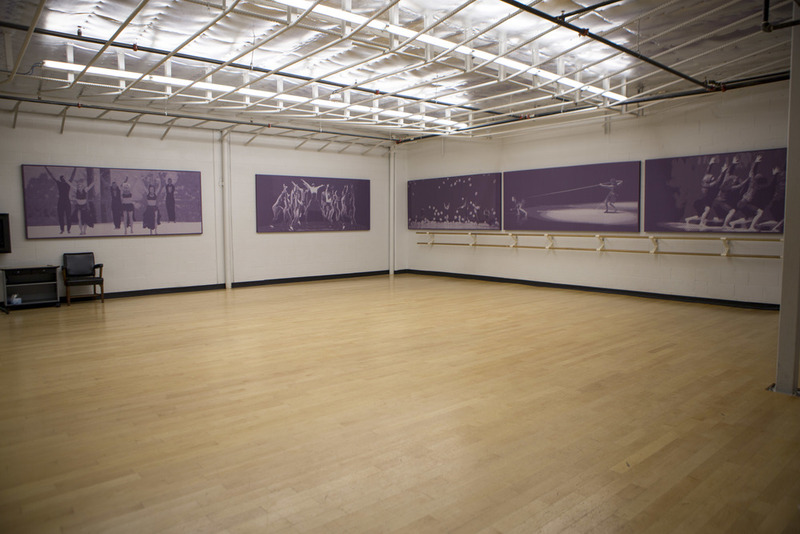 3 climate-controlled studios suitable for rehearsals, auditions, film shoots, photo shoots, workshops and studio showings. 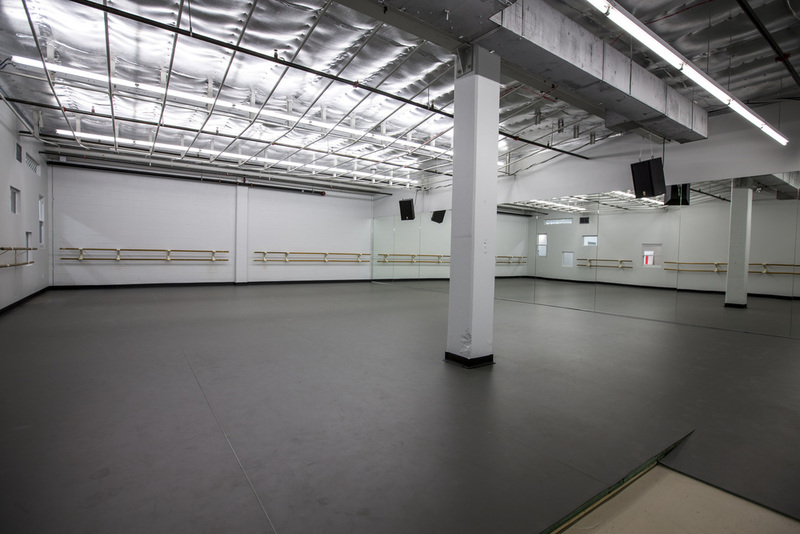 Each studio is equipped with Harlequin sprung floors, mirrors and sound systems. Please take into consideration METdance Center Children, Teen and Adult Class Schedule when requesting space. Studio rules and dimensions can be found below. Please fill out the form below to begin the reservation process. If you cancel within 48 hours of your rental, there will be NO Refund given back to you. Filling out a request for space and receiving an invoice does not hold your space. Only payments made in full will confirm your space. NO food, beverages (other than water plastic bottles), glass bottles, or cans are permitted in the studios when they are being used for rehearsals, auditions or performances. NO chewing gum is permitted in the studios. NO hard-sole shoes including high heels, boots and street shoes are permitted in the studios. Non-dance shoes or slippers must be worn in the hallways, stairwells and elevators at all times. Smoking anywhere in or around the building is NOT permitted. Photography and Videography are not permitted anywhere in the building without prior written permission. Renters are held responsible for all damages incurred during your rental time and studio designated. ** Cleaning fee will also be added on to each invoice if you are a group larger than 10 people. * If space is booked at METdance on off hours, (Friday after 7PM; Saturday after 5PM: Sunday after 11:30AM) this fee will apply. Please Specify how many Table and Chairs? Renters shall hold HMDC harmless for any loss, theft, cost, claim, injury, or liability incurred on the premises. NO food, beverages (other than water plastic bottles), glass bottles, or cans are permitted in the studios when they are being used for rehearsals, auditions or performances. NO chewing gum is permitted in the studios. NO hard-sole shoes including high heels, boots and street shoes are permitted in the studios. Non-dance shoes or slippers must be worn in the hallways at all times. Smoking anywhere in or around the building is NOT permitted. Photography and Videography are not permitted anywhere in the building without prior written permission. If Rental Fees are not paid in full at least 10 days prior to the rental date there will be a service charge of 20.00 add to the rental fee. If Rental Fees are not paid in full at least 5 days prior to the rental date your rental is canceled. I have read this information about Payment of Rental Fees. If renter cancels 14 days prior to the rental date they will receive a refund of 75% of the rental fee. If renter cancels 7 days prior to the rental date they will receive a refund of 50% of the rental fee. If renter cancels after 5 days prior to the rental date, they will not receive a refund of the rental fee. I have read the Cancellation/ Refund Policies. Thank you! A METdance representative will contact you regarding your request.